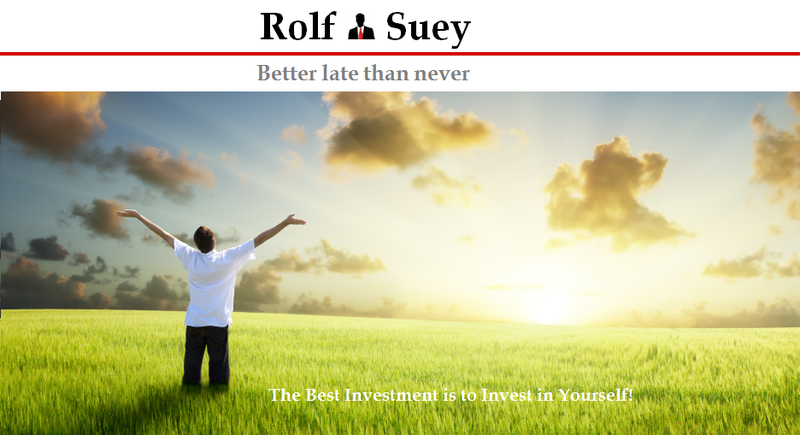 Rolf Suey - Better Late Than Never: Croesus Retail Trust New Acquisition in Hiroshima – Good or Bad? Croesus Retail Trust New Acquisition in Hiroshima – Good or Bad? For more about the acquisition, you can refer to the presentation slide in CRT website. A) 5 Apr 16 – issued S$60,000,000 5.0% FIXED RATE NOTES DUE 2020. B) 23-24 Mar 16 - issued 70 mil New Units at S$0.750 to raise gross proceeds of up to S$53.9 million. C) 2 Nov 15 – right issues to raise S$69.7 million of which most of the proceeds raised were used to acquired Torius Property based in Fukuoka for a purchase consideration of S$95.2 mil. With this current acquisition, CRT has a portfolio all across Japan. The last one was Fukuoka last November, which was strategically located as well as far as the portfolio property location is concern. Not just that, CRT has a strong diversification with no single property exceeding 26% of total NPI. The location of Fuji Grand Natalie is strategically locating near to train station and major access roads, serving as a suburban mall for neighboring residents who were having income above national average. Moreover the area is seen historically with stable growth of population as compared to national and prefectural average. I also like the fact that the land is freehold and constructed in 1999, with long WALE of >8 years and diversified tenants mix master lease to Fuji Co until Mar 2024. The deal also represented 6.3% discount to valuation. Figures wise, yield is “projected” to be accretive, because the property has NPI yield of 6.3% above the estimated cost of capital est c4%. The purchase is financed by a mixture of equity and debt financing. Post acquisition and after utilizing the proceeds from the recent placement and issuance of MTN (total ~ 113m), CRT still have an estimated remainder cash of ~S$33m for further acquisition. AUM will rise 3.7% to ¥99.8bn and DPU is “expected” to increase from 7.66 Sct to 7.80 Sct. I had personally not visited the mall and not sure how great it actually is, in comparison to what CRT has said. Despite that, based on what was published, I think it is a great deal with many positives. I especially like the fact that it is suburban, and its efficient use of financing, the freehold and long WALE leasing and how the deal is project to be yield accretive. That said, could CRT be over aggressive in its recent acquisitions mounting its own debts in volatile global environment like this. The last two acquisitions take place within a space of less than 6 months, and potentially a next one upcoming maybe? Or perhaps, they are also confident that the Japanese government will eventually be able to stimulate consumption with more measures ahead, having been not so successful with Abenomics over the past years. Disclaimer : I own shares of CRT at time of writing. "I had personally not visited the mall and not sure how great it actually is, in comparison to what CRT has said. Despite that, based on what was published, I think it is a great deal with many positives. I especially like the fact that it is suburban, and its efficient use of financing, the freehold and long WALE leasing and how the deal is project to be yield accretive." Is this how you buy properties? How would one describe this kind of investing behaviour? Vested interest can be dangerous if we let it cloud our judgement. Using zero-based would be better (but then its hard). I'll turn the question around back to you. If you are not vested in CRT today, with all the other options and choices available to you in SGX, would you invest in CRT Monday morning based on this new acquisition? Or would you prefer to stay in cash or ride another "horse" instead? Good morning to you. I do not see it as a poke. I tend to agree with u and It is a very good reminder that I should have added in my article instead. Answering ur qn, I will definitely not buy a property without seeing it. Personal touch is important for a house for staying or even renting. Hmm.. but buying a REIT stock while some part are the same, it is not entirely apple to apple comparison with property. Isn't it true? It also involves the creation or balancing of ur own portfolio with different classification of stocks diversify across sectors/countries. But my vested interest did cloud me when writing this article. You raised an extremely valid point. Thank you. It's not the same of course. a) The asset manager is betting Abenomics will continue to reflate prices and boost this "yield accretive" acquisition. b) The mall owner on the other hand believes otherwise... If not why so eager to sell at a discount? Similar to what you will do and sell your shares at a loss when you know it may go down much further right? It's fun to have a sporting sparring partner! Yes... another very valid point and I totally agree. Keeps me thinking in the right direction. It somehow reminds me of Saizen and Halcyon Agri seeing the eagerness of the manager/owner to expand so rapidly and waiting for the right opportunity to offload! White or black cat, can catch mice is good cat! I think need some time to judge... It doesn't seem to be immediately accretive as the increase in NPI does not make up for the dilution by placement. Expecting them to make another acquisition very soon. Definitely the manager is profiting from more acquisition fees and management fees. Thanks for visiting for the first time. Yes, most acquisitions require time to ascertain if it is a good or bad one. That is w/o a doubt. Personally in my career, I also went thru several acquisitions. No guarantee of good or bad from a start, but instead from a corporate point of view, u look at justifications of an acquisition. Retailers like us who can only speculate the true reasons from outside will never know the real reasons from inside. Although the egoistic self will always think "we know!" End of the day, like CW mentioned, since we are Retailers, our objective is to make sure we can make money "can liao!" Delving too much into motives, statistics, analysis, reasons while important may not necessarily mean u can make money in the stock market. I agreed with the fact that acquisition enrich the manager with fees. From the view point of earning money, I must say CRT is doing well for me. If you look at STI in Apr15 falling from 3550 to <2600 and now 2800. Then look at CRT stock in Apr 15 at $0.8 and today 0.825 and despite the rights issues and 8-9% Dividend. No brainer which one show better results? And I am definitely not a diehard fans of WB! However like u, I am bearish about JAPAN economy in the long term and it will take quite a miracle for a turnaround. No matter how much they print money, people are still relatively reluctant to spend more to inflate. Maybe it will come to a situation where govt need to hand money directly into the hands of the consumer. So yes structure deflation likely, but the question is when? or Abrupt or Gradual? Jap renting is more related to residential. For CRT, their portfolio is suburban malls which perhaps is not entirely apple to apple comparison. Afterall it is fair that a yield at 9.45% should carries higher risk than normal reits. A so call good stock may not nec help us earn money and a so call bad stock may not necessary not win any money for us either. Most important is how we understand ourself and our strategy/objective and what outcome we eventually gets! did you get any share in the pte placement? Pte placement as the name suggest is for private ... banks, funds etc Not for me and maybe also not for u if we r just retail investors. Hi Rolf, is "A) 5 Apr 16 – issued S$60,000,000 5.0% FIXED RATE NOTES DUE 2020" open to retail investors or only institutional investors? Thanks for clarifying! If I am not wrong, it is for institution or normally accredited investors, just like a bond issues. DBS Bank Ltd. and United Overseas Bank Limited have been appointed as the joint lead managers for the Notes. The notes are Euro Medium Term Notes that allows capital to be tap in foreign market and maturity date is within 5 yrs from date of issue.